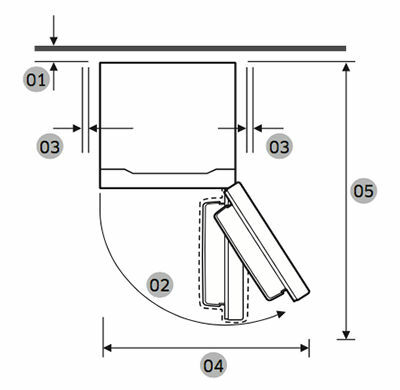 How do I install my Samsung Top Mount Refrigerator (RT18M6213SG)? 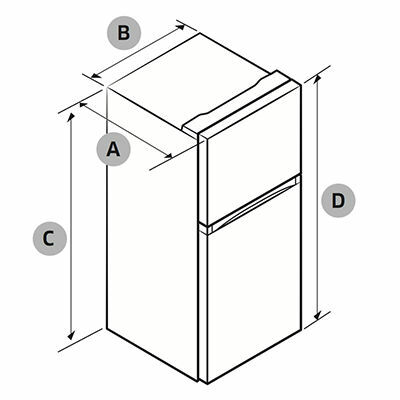 Follow these instructions carefully to ensure the proper installation of your refrigerator and to prevent accidents before using it. Warning: Before Starting the Installation, refer to the Cautions and Warnings in your manual. Note: The provided information refers to refrigerators sold in Canada. The available settings and options may differ for devices sold in other countries. • has a solid, level surface without carpeting or flooring that may obstruct ventilation. • is away from direct sunlight. • has adequate room for opening and closing the door. • is away from any heat sources. • provides room for maintenance and servicing. • has a temperature range between 10°C and 43°C. • The surface you install the refrigerator on must support a fully loaded refrigerator (Approximately 90 kg). 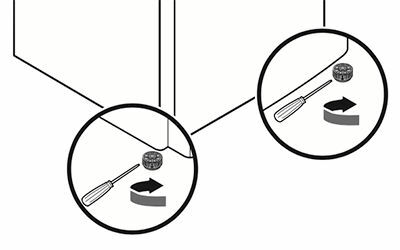 • To protect the floor, put a large piece of cardboard along the path to the refrigerator's final installation location. 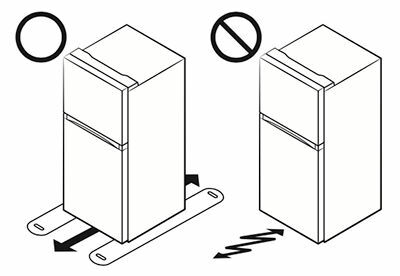 • After the refrigerator is in its final position, do not move it unless necessary to protect the floor. If you have to move the refrigerator, place thick paper or cloth such as old carpets along the path of movement. 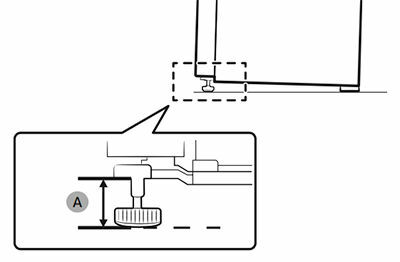 Level the refrigerator by manually adjusting the levelling legs. Turn the levelling legs clockwise to lower the position, or turn counterclockwise to raise. Important: For safety reasons, adjust the front side a little higher than the rear side.